February 12, 2013 (Orlando, FL) World–renowned dog behaviorist and star of the hit television series Leader of the Pack Cesar Millan will reveal a new line of pet products at Global Pet Expo at the Orange County Convention Center in Orlando, Florida on February 21, 2013. The unveiling will occur at the Cesar Millan booth (#2153) during a special press conference with Cesar Millan beginning at 11:30AM ET. Millan will present the new products and answer questions, followed by a live demonstration of the brand new Pro-Form® Dog Treadmill by Cesar Millan. Millan’s line of pet products embodies his famous philosophies for exercise, discipline and affection and adds to his already-trusted brand of Dog Whisperer branded pet care which is sold in major U.S. and Canadian retailers. The new products that will be unveiled embrace Millan’s evolution into new entertainment initiatives, including his brand new series Leader of the Pack, which features Millan utilizing the products in his quest to rescue, rehabilitate and re-home dogs. Millan will reveal a new “Brights Line” of products, which was inspired by contemporary fashion trends and retains Millan’s emphasis on functionality. The “Brights Line” of pet accessories was designed by Jahira Dar, a former stylist for fashion brands such as Dolce & Gabbana, Christian Dior and Hugo Boss. The products included in the “Brights Line” will have a new and modern feel but will still be aimed at enhancing every aspect of a dog’s life. Millan will also present the highly anticipated release of the Pro-Form® Dog Treadmill by Cesar Millan, which will be featured in the line of Cesar Millan branded products. Designed by Millan and ICON Health & Fitness, the treadmill will allow pet owners to train their pack from the comfort of their own home. The Pro-Form® Dog Treadmill by Cesar Millan features iFit® Technology, which uses a wireless Internet connection to deliver specialized training programs voiced by Millan himself to owners and their pets. The different workouts for all types of dogs will offer tools, tips and inspiration to lead them to healthy, happy lives, as well as help pet owners become their very own pack leaders. 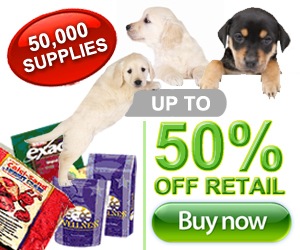 “As an owner, your main goal should be to fulfill your dog’s needs. This treadmill is designed as a tool to support you in the journey of the fulfillment formula,” says Millan. All of the products to be unveiled are tested by Millan’s own pack at his Dog Psychology Center in Santa Clarita, California. They are used by Millan daily in his mission to rescue, rehabilitate and re-home animals all around the world. Millan will be available for press interviews following the press conference and demonstration that will officially launch his new pet care product line. All products will be available for viewing at Global Pet Expo.